World map in two hemispheres printed on two separate sheets. The latest discoveries are marked on the western hemisphere but not those of the Dutch in the area of Australia. 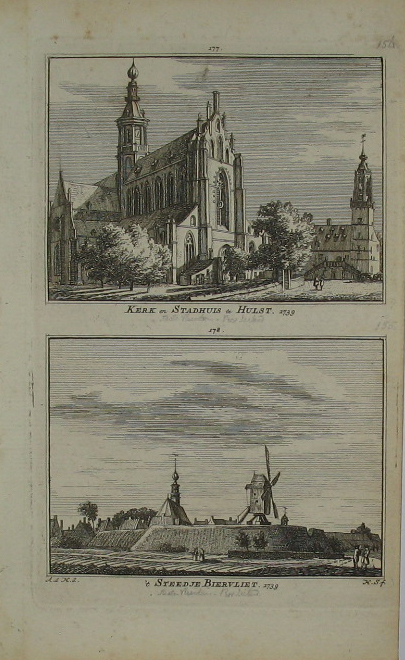 First edition appeared in 1639 and was printed on one sheet. This concerns the second and last edition with addition of ‘Mer Magellanique (&) Mer du Sud ou Pacifique’ and date changed from 1639 tot 1661. 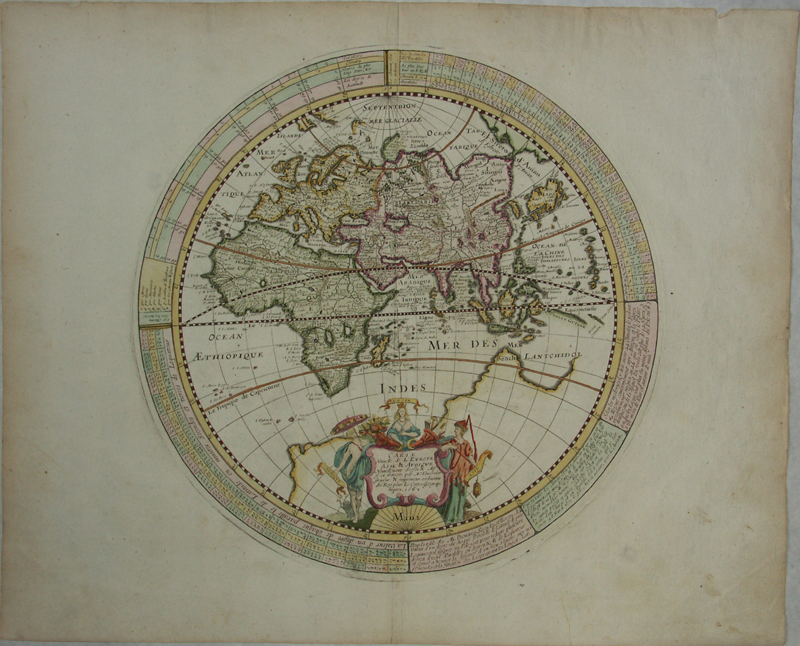 The maps appear also printed on one sheet, and ‘sometimes in editions of D’Avity’s “Le Monde”’. 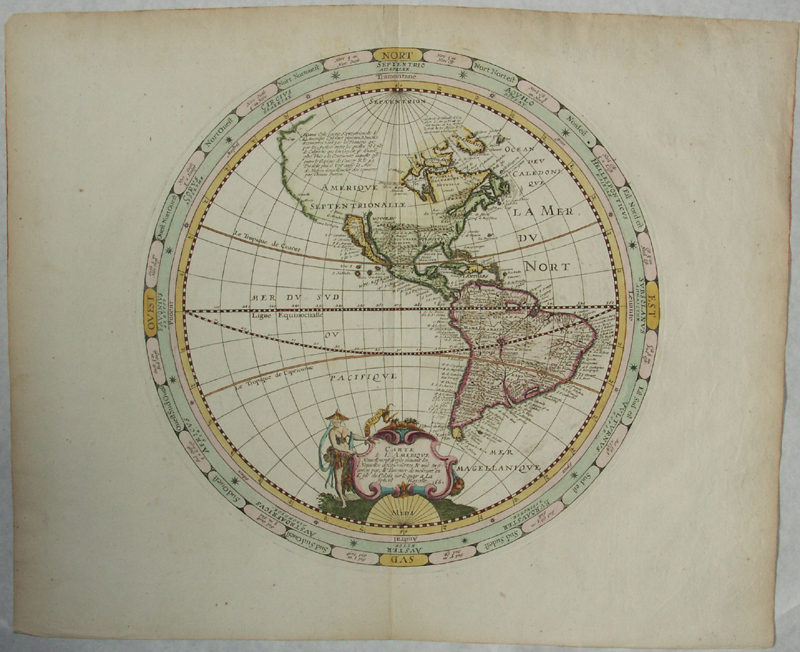 Northe America with Caloformia as an island and extensive legend : ‘the one Great Lake being the most unique feature of that map’ Small wormhole to centrefold of the 2nd sheet affecting the cartouche. Verso blank.